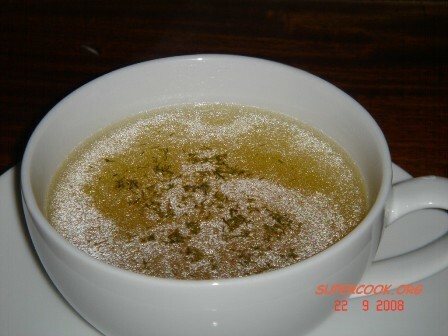 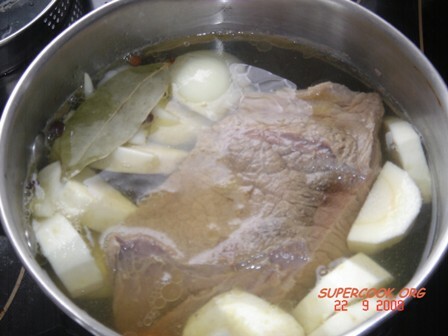 Stock can be made of veal, beef, lamb, pork, etc. 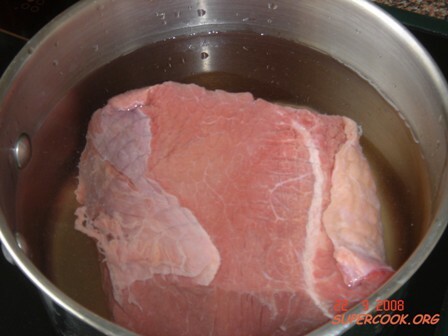 The meat can be cooked whole or cut into big chunks. 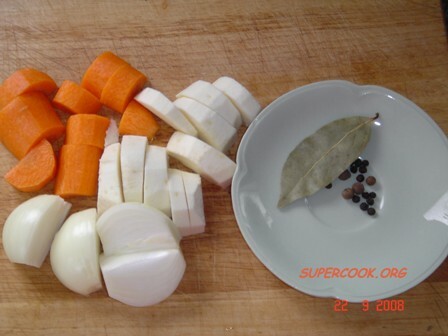 Cooking time: 2-3 hours. 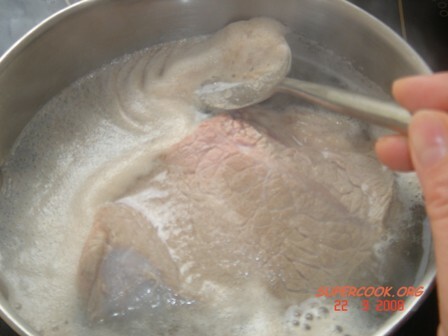 Add the meat to the saucepan and then add cold water. 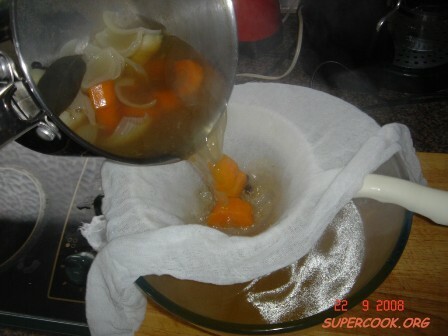 Bring the water to a boil and immediately reduce heat to bring the stock to barely a simmer.